We’ve got your dining room covered. 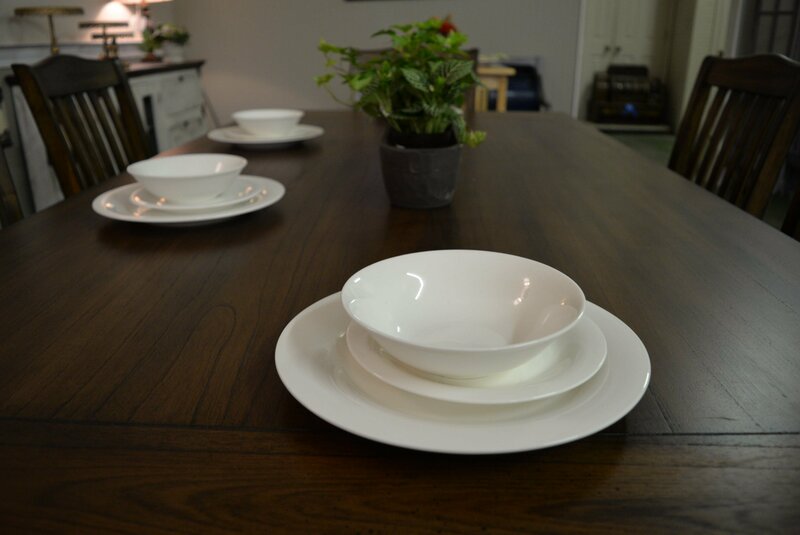 The dining room is where your family and friends gather to share meals, words, and laughter. Why shouldn’t that space be special? We have whatever you need to accommodate your living style. 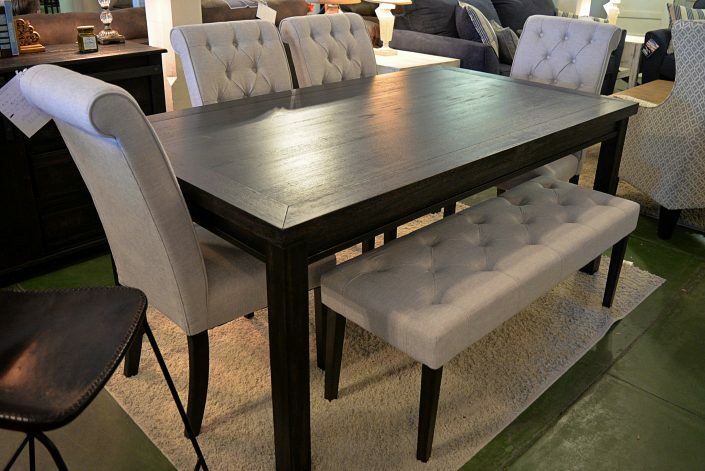 Big tables, small dinettes, glass tops to solid wood. Want a new table for your Laurel home? Come by today! 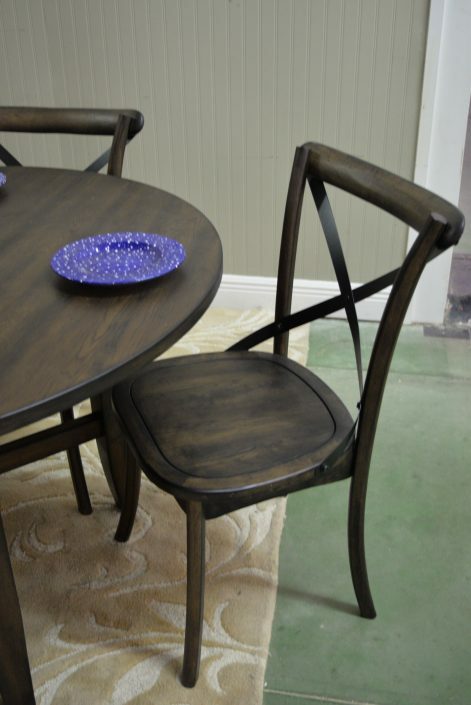 This beautiful table set was featured at our after hours event, Wine & Design! 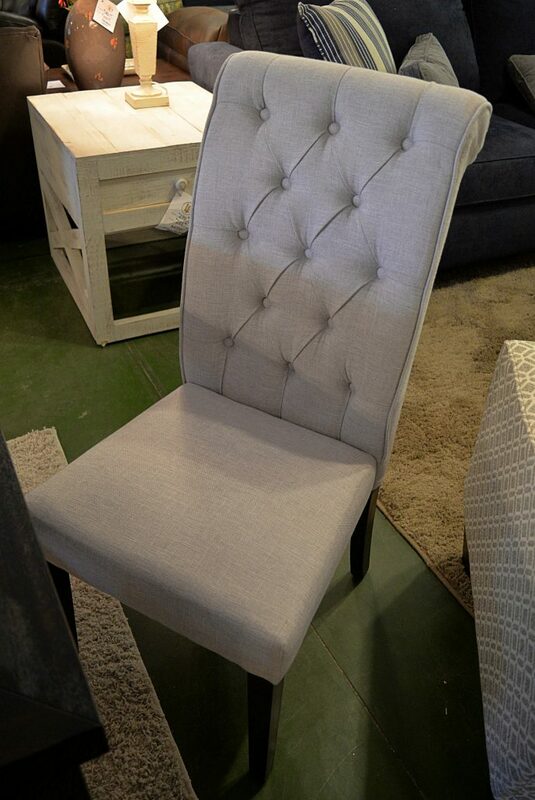 We love the upholstered chairs! 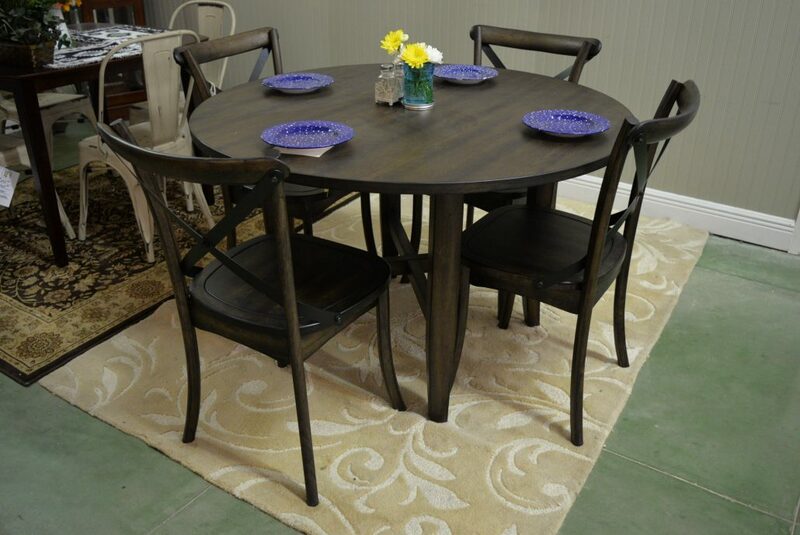 This little 4-seat dinette looks great in the kitchen! The cross-back chairs feature a mix of iron and wood that looks classic with a modern touch.